It’s finally here….and admit it, we can all say that we are tuning into tonight’s debate as good citizens seeking to make an informed decision this election…. What’s an investor to do? Whether one candidate “crashes” or not my investment theme remains unchanged: “Invest in trends and strategies that are bigger than either candidate”. From now through the end of the year my blog posts and articles will continue to focus on that theme. If volatility rocks your investments, as it likely will over the next couple of months, remember all the frantic predictions about Brexit. As the vote in Great Britain approached on whether GB should leave the EU talking heads and analysts predicted financial and economic chaos and calamity should the voters elect to leave the EU. Which they did. And I’ve yet to witness the financial chaos that was so strongly predicted. My guess is that by the end of December our markets will have reacted similarly to our own election, regardless of who wins and who crashes. Mr. DeShurko is a registered representative of Ceros Financial Services, Inc. (Member FINRA/SIPC). 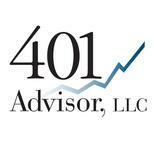 Ceros is not affiliated with 401 Advisor or Fund Trader Pro. The views expressed are those of Mr. DeShurko and do not necessarily reflect those of Ceros Financial Services, Inc., its employees or affiliates.